A loan of $1,375 helped to buy soft drinks wholesale. Egilba, 62 years old, is a kind and enthusiastic woman. She is single and has 6 children, all of them now adults. She lives in her own house together with her youngest daughter and a small grandson. Elgiba works selling cold drinks, such as soft drinks, water and beer. She distributes her products every day among neighbours and occasional customers. She continuously buys the beverages directly from the producing company. She has been doing this work for 20 years and has done well with it, working together with her daughter. She occasionally supplements this work with the sale of food. She enjoys working like this very much since it allows her to have free time, which she can then spend with her grandson. She loves her family very much and wishes to provide them the best every day, so her goal is to have a restaurant-bar where she can continue working. This time Elgiba is requesting 3800 nuevos soles. She is very happy to know that she will have the economic support to keep advancing towards the fulfilment of her goals. With the amount requested she will buy an increasing number of soft drinks, beers and water bottles, which she will use to continue with her work. Translated from Spanish by Kiva volunteer Ken Arroyo Ohori. View original language description. Elgiba, de 62 años, es una mujer amable y muy entusiasta, es soltera y tienes 6 hijos mayores de edad, actualmente vive en su casa propia solo con su ultima hija y su pequeño nieto. El trabajo de Elgiba consiste en la venta de bebidas heladas como gaseosas, agua y cerveza. Distribuye diariamente sus productos entre sus vecinos y ocasionales clientes. 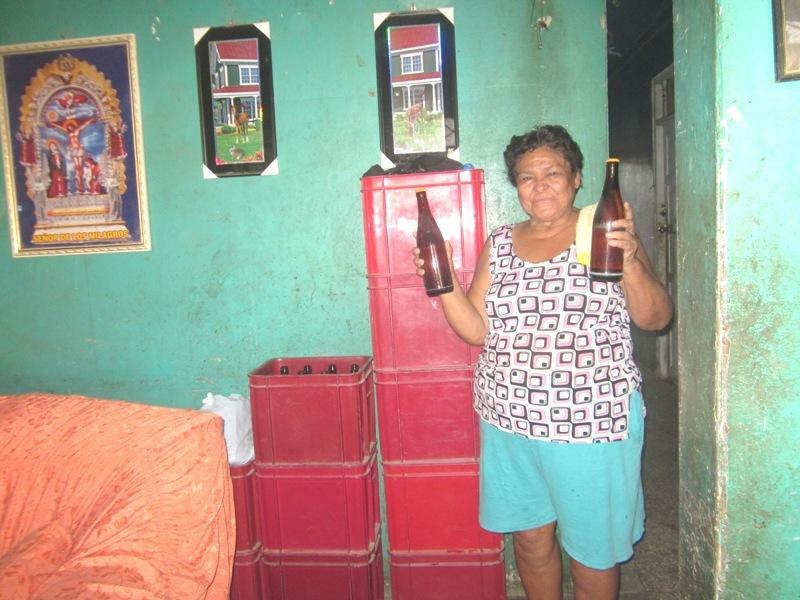 Compra las bebidas directamente de la empresa productora de manera consecutiva. Lleva realizando este trabajo desde hace 20 años y le va muy bien. Trabaja con la ayuda de su hija. Ocasionalmente complemente este negocio con la venta de comida. Le gusta mucho trabajar de esta manera ya que le permite disponer de su tiempo libre y dedicárselo a su nieto, quiere mucho a su familia y desea brindarles lo mejor cada día es por eso que su meta es consolidar un bar –restaurante para que continúe trabajando. En esta oportunidad solicitará S/. 3800, está muy contenta al saber que tiene un respaldo económico para seguir avanzando en el cumplimiento de sus metas. Con el monto solicitado comprará progresivamente más gaseosas, cervezas y aguas envasadas para que continúe trabajando.